Excellent adhesion on both sides and holding power, used for bonding printed plate in the electronic industry, rubber board, handicraft, stationery and for fixing objects. 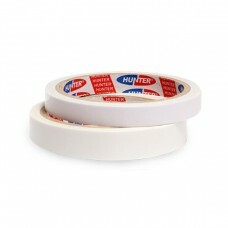 It has an acrylic adhesive, excellent for bonding properties and a great general purpose foam tape for cushioning. It is also good for sealing and mounting. Adheres to all types of surfaces and is available in various widths and thickness. Double-sided tape is any pressure-sensitive tape that is coated with adhesive on both sides. It is used to stick two surfaces together, often in a way which is not visible in the end product, due to it being in between the objects. This allows for presentable-looking projects and better craftsmanship. Double-sided tape can be either thin or dimensional; the latter also known as double sided foam tape.